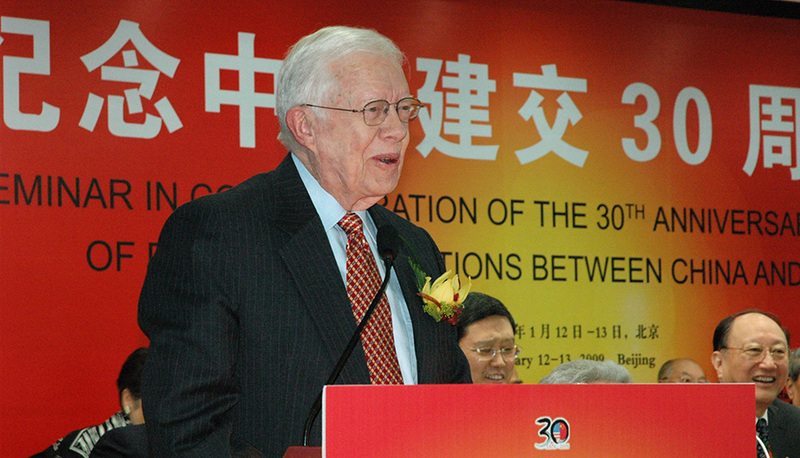 The Carter Center's China Program seeks a qualified graduate assistant for the 2019-2020 session to conduct research and analysis on the rise of China’s economic and geo-political power and its impact on the international community including developing countries. The graduate assistant will also research potential opportunities for trilateral engagement and cooperation. This research will take place in the backdrop of unprecedented challenges in the U.S.-China bilateral relationship, including rising anti-China sentiment from political leaders punctuated by de-escalation measures in the trade conflict and general bilateral relationship. For the first five months, the China Program graduate assistant will conduct research on the rise of China on developing countries, with a focus on Latin America and Africa. This will involve reviewing both Chinese and American literature on how China’s economic and political rise has been perceived in the United States, China, and around the world. Using these collected materials, an essay/report will be written. For the remaining months, the graduate assistant will research what possibilities exist for trilateral cooperation within the current Administration. One goal of this research will be to supplement the findings from China Program’s trilateral cooperation workshops and to provide research support for “next steps” in terms of determining what thematic areas, regions/countries, and stakeholders are the most promising for trilateral cooperation. In collaboration with China Program staff, the graduate assistant will examine potential challenges and obstacles to achieving trilateral cooperation and what the Center can do to address these challenges. An article will be completed on this theme for publication in a U.S. policy journal.